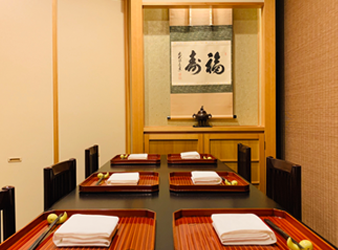 For lunch, beside during your shopping in Ginza, you can use our restaurant for a wide variety of purposes, such as meetings. We also have private rooms with warm sunlight in our restaurant interior. Please enjoy your meal while gazing at the scenery from the 5th floor. 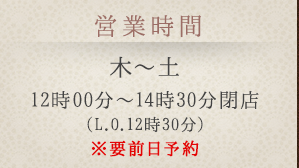 ※The contents may be partially changed depending on the ingredients in stock. For further details, feel free to ask. *Including the fee for tax-included services. Reservation needed. 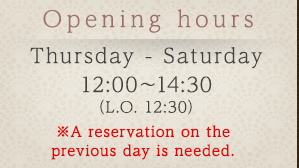 We recommend you visit our restaurant for receptions during lunchtime. We have private rooms adequate for business situations as well, so you can spend meaningful time in them. 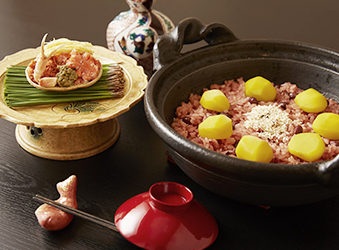 We can make the most suitable meals even for family meetings. We have two private rooms for 6 people each, so two rooms can be used depending on the number of customers as well.